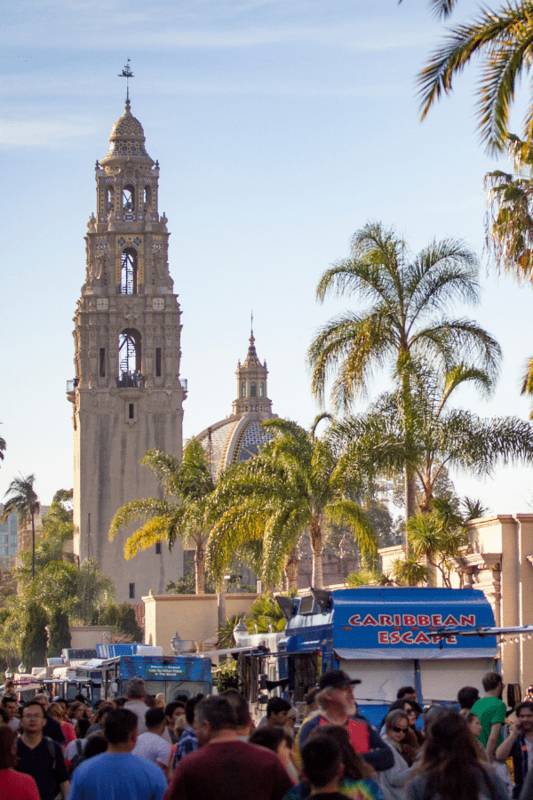 It’s easy to get lost in the many attractions of Balboa Park. 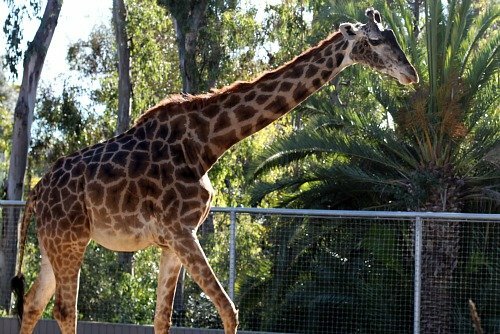 With its wealth of museums, gorgeous architecture and seemingly endless trails and walkways spread throughout its 1,200 acres, San Diego’s jewel also offers a host of diverse places to eat and drink without leaving the park. 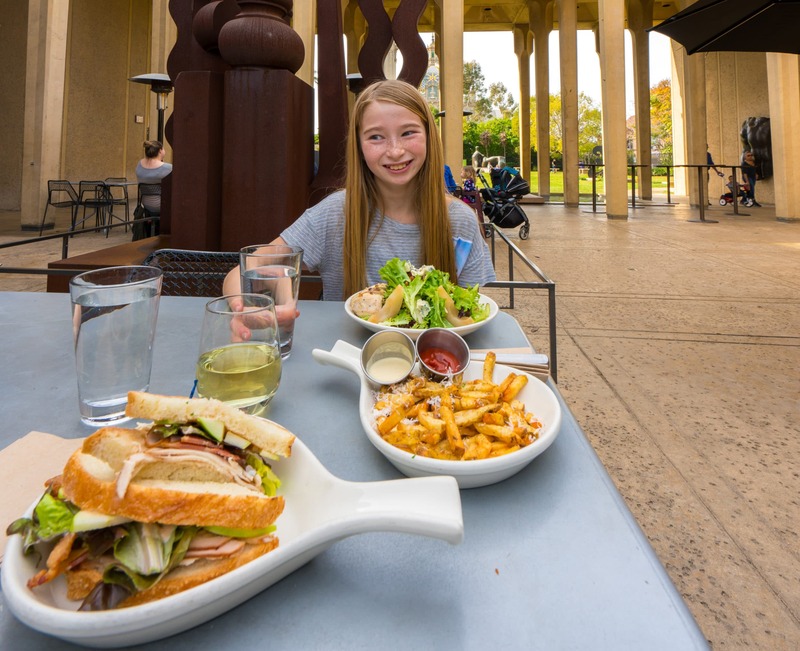 Here are suggestions for white Balboa Park restaurants to fuel up in after a day of exploring. 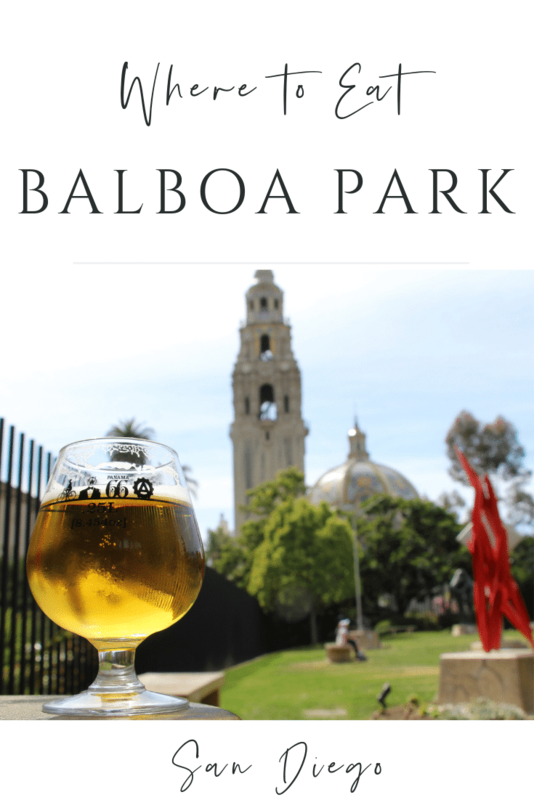 Located at The San Diego Museum of Art’s sculpture garden, Panama 66 is the place for local craft beers, cocktails, salads and freshly made sandwiches using local ingredients. With a dozen brews on tap, the counter-order, open-air locale makes it the ideal place to grab a drink and enjoy San Diego’s near perfect weather. 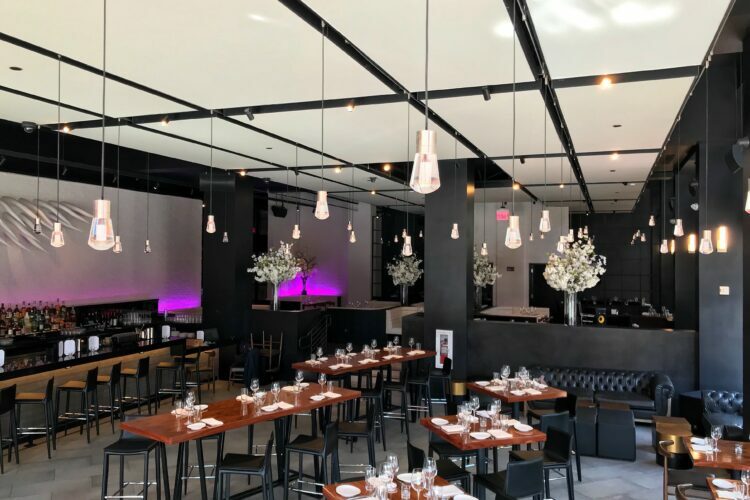 Insider tip: Due to its popularity, Panama 66 is often rented out for private events. 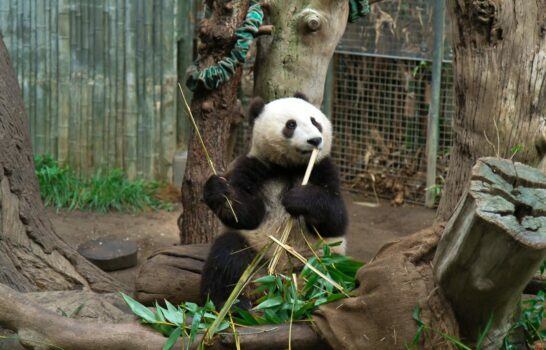 Visit the Balboa Park restaurant’s FB page or website for closures on the day you’re planning a visit. Park goers looking for a full-service restaurant open for lunch and dinner can find The Prado next to the House of Hospitality. 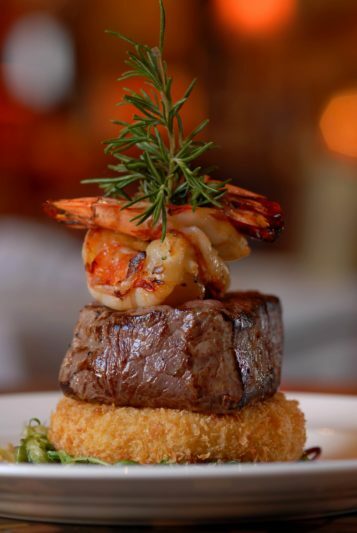 Its specialty is American cuisine with dishes like seared American Kobe beef sushi rolls and lobster bucatini among the restaurant’s most popular plates. 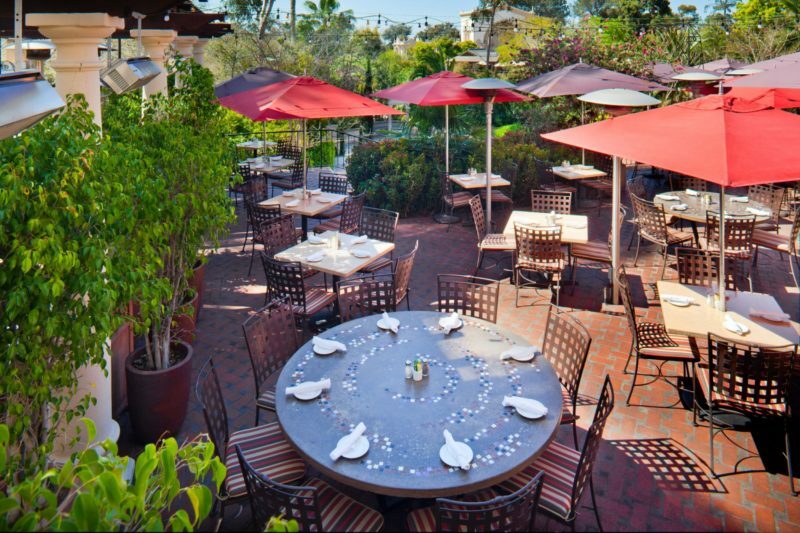 With its historic setting and outdoor garden charm, the restaurant is also a popular spot to take someone on a date. Insider tip: Head into the restaurant on Tuesday nights for the restaurant’s weekly dinner deal. Two salads, two entrees, and a bottle of wine is only $46.95 per couple. Wandering into the picturesque Japanese Friendship Garden won’t only reward you with 12 acres to meditate and take in rotating exhibits, but also offers a place to fill up on Japanese cuisine. 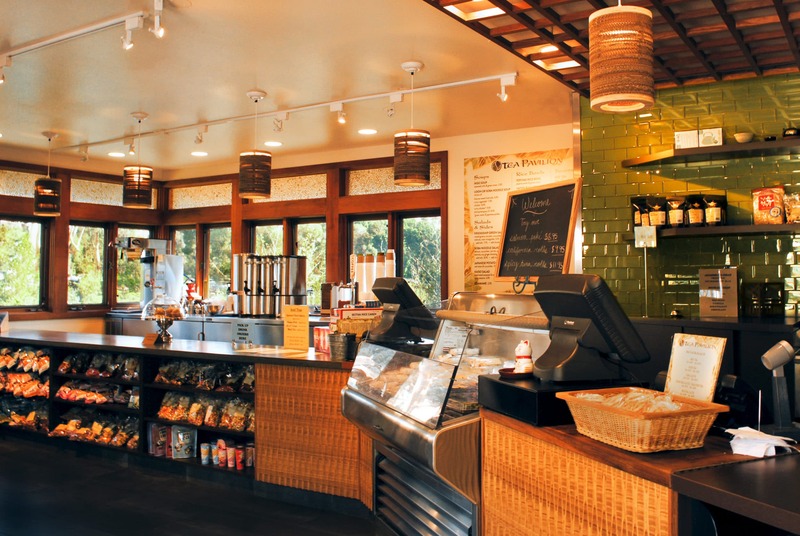 A diverse selection of green, white, black and herbal teas is served alongside noodle dishes, mochi, soups, rice bowls, salads, and sandwiches. Wear your comfiest shoes to get to the area, the garden is nestled between the House of Hospitality and Spreckels Organ Pavilion with parking a short walk away. Order at the counter, pick up your food and eat at the tables outside. Insider tip: The Japanese Friendship Garden doesn’t allow outside food or drink onto the premises and dogs are not allowed. If you find yourself exploring Spanish Village alongside Park Boulevard, stop by this cart for a caffeine fix. Ice coffees, cold brews, pour overs, teas plus a wealth of blended concoctions are custom made and sold alongside soda and water. Looking something to sip with your coffee? Freshly baked pastries are also available. Insider tip: There are several shaded tables nearby to enjoy your beverage. 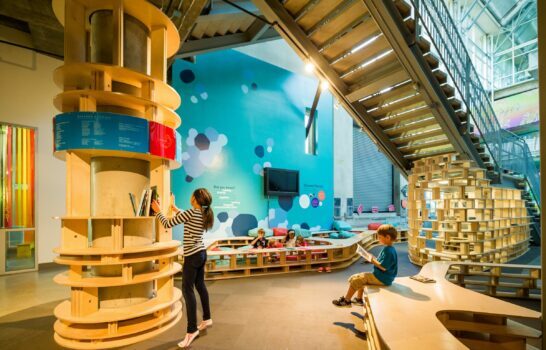 Fleet Science Center by Park Boulevard is not only home to interactive science exhibits and digital films covering everything from pandas to the Great Barrier Reef but it also houses a casual, kid-friendly eatery open for lunch and dinner. No admission is needed to dine at Craveology where hot and cold sandwiches headline the menu. Snacks like pretzel sand nachos plus sweet treats like cookies and ice cream fill out the family-friendly menu. Insider tip: Teach your kids a little science by treating them to soft serve. Each dessert is served with a color changing spoon made with polymers that react to temperature. 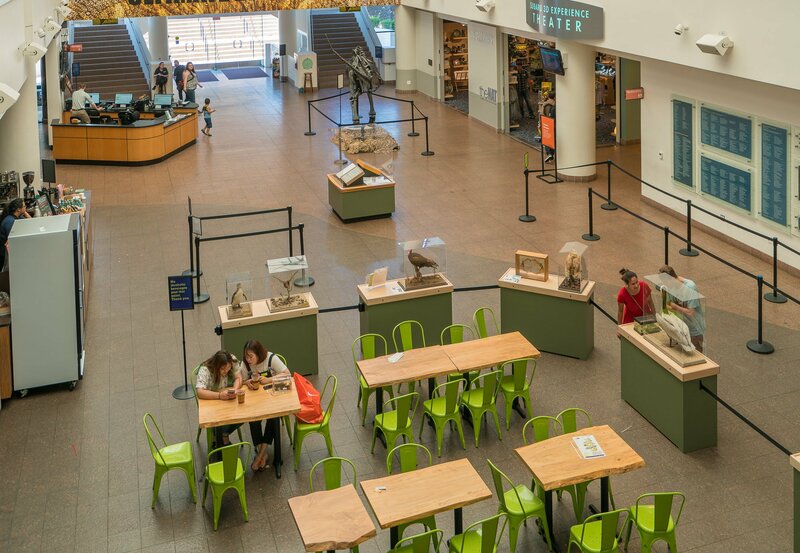 The Flying Squirrel cafe inside of the San Diego Natural History Museum (affectionately referred to as theNAT) serves a nice mix of made-t0-order and grab-and-go casual California fare including salads, sandwiches, fresh juices, espresso drinks, pastries and more. 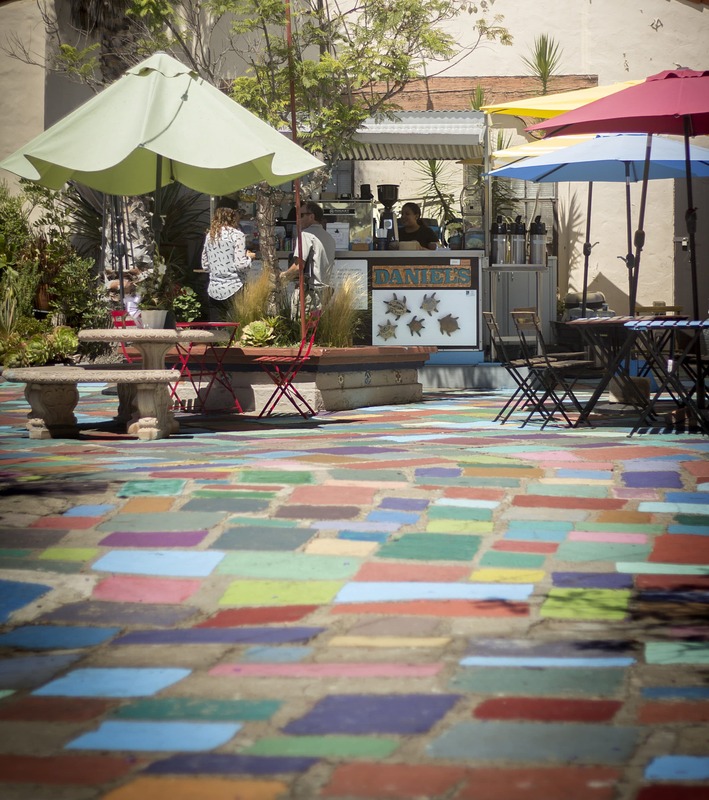 Steps away is The Backyard place space for younger kids, where food is permitted and parents are encouraged to relax with a latte after a day of sightseeing. 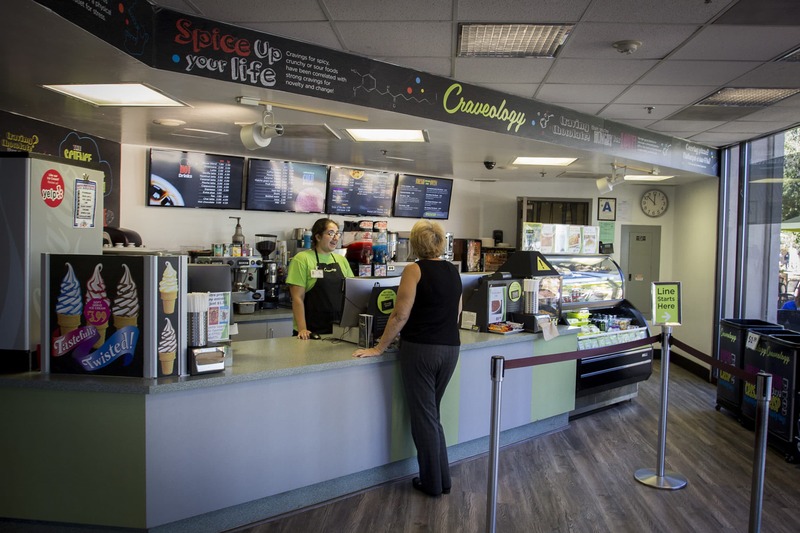 The cafe is named after the San Bernadino Flying Squirrel, a project that citizen scientists (like you and me) help theNAT collect research for. 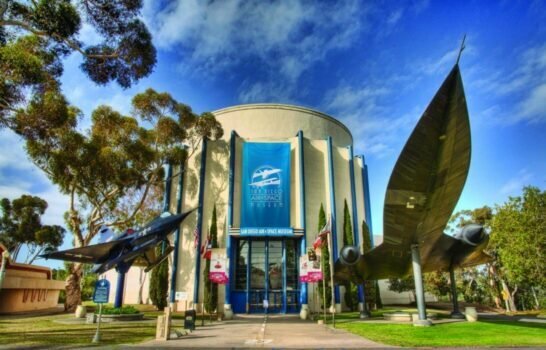 Insider Tip: Buy tickets for online through the museum and receive 10% off at The Flying Squirrel. 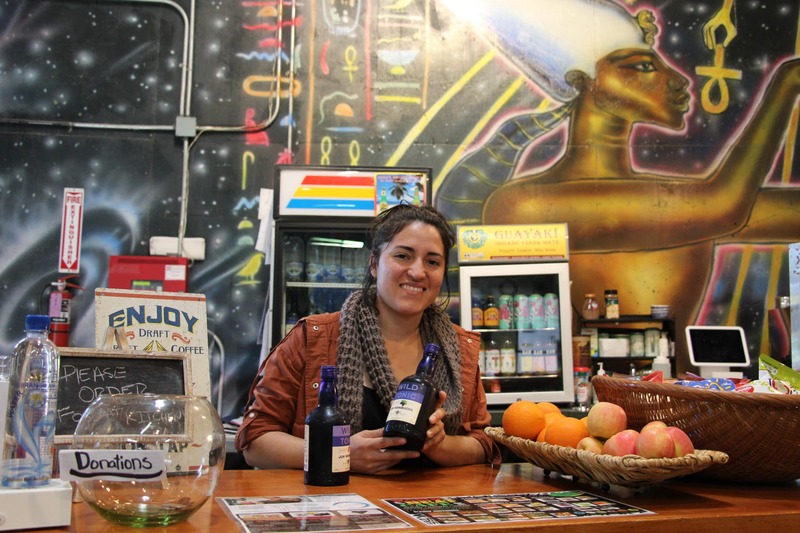 Find the WorldBeat Cafe inside the colorful WorldBeat Cultural Center, non-profit and multi-cultural arts organization dedicated to promoting unity within diversity through art, dance, events and food. The vegan menu uses ingredients from their garden and features the likes of soy chorizo burritos, spicy Jamaican red curry, tamales and more. Nothing on the menu is over $10. Insider Tip: The cafe is closed on Mondays and you can order delivery via Uber Eats. 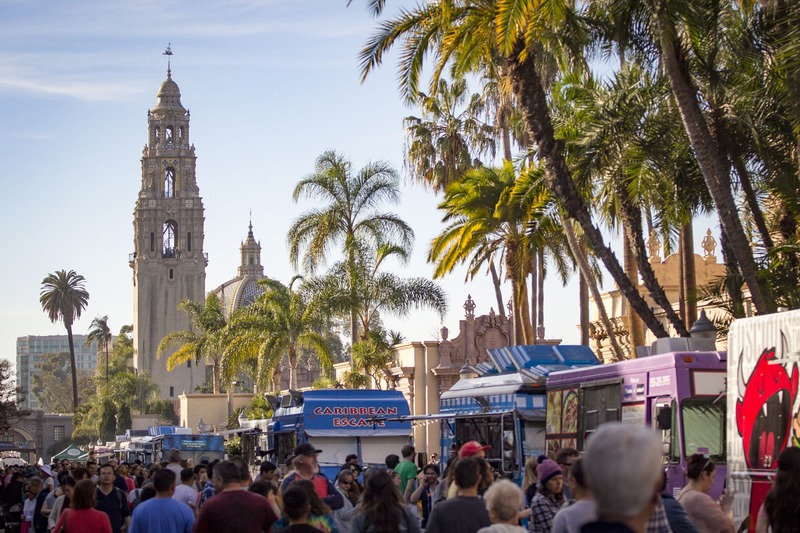 Visiting Balboa Park on Friday evenings will reward you with a host of other dining choices courtesy of food trucks. From 4:00—8:00 p.m., a dozen or more rotating food trucks line Plaza de Panama and El Prado walkway. 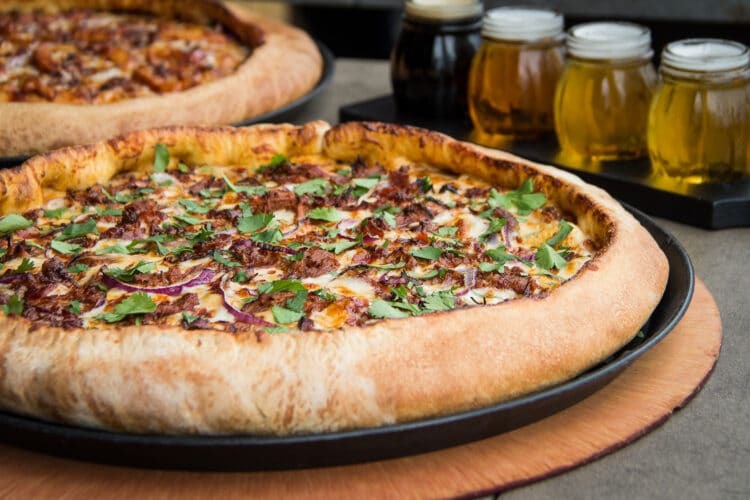 Look for local favorites like Manga Manga serving its Italian cuisine, Mastiff Sausage grilling up housemade sausages and more plus live music. Check the website for more information including a list of scheduled food trucks. Darlene Horn is a San Diego-based freelance writer and designer who has contributed to Zagat San Diego, BizBash, Mission Publishing Group, Nescafe, and Active.com. You can find her documenting her favorite food spots on Instagram as @DarleneEats.